Sit on a beach, maybe go some place exotic? Or, perhaps, something more active and adventurous, such as ski a mountain or climb a fourteener? 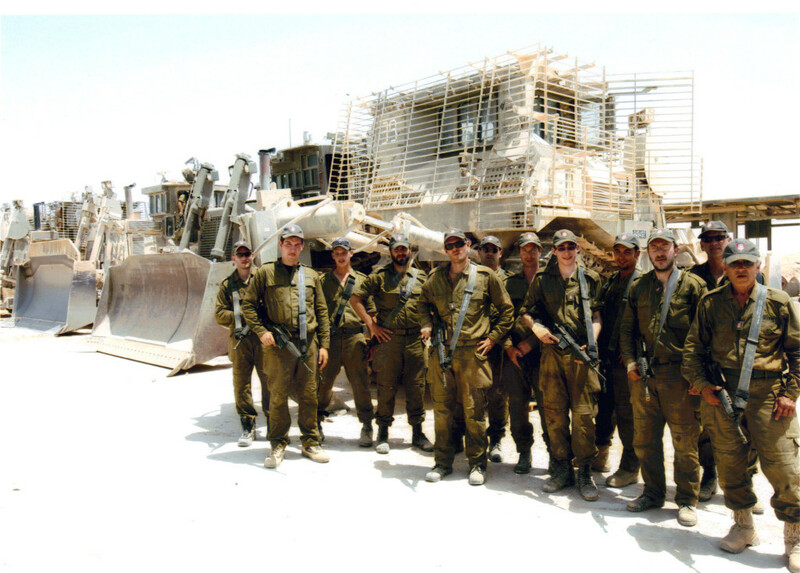 Denver lawyer Marshall Fogel did what few of us even consider when planning time off: he spent two weeks training with the Israeli army (the Israel Defense Forces, or IDF). Fogel is of counsel with the Burg, Simpson law firm, but outside his legal accomplishments he is best known for his sports memorabilia collection. This collection does not merely consist of the few bubble gum baseball cards your mother neglected to throw out; Fogel’s collection is world-class, considered by experts to be the best private collection of sports memorabilia in existence. It includes a 1952 Mickey Mantle card that may be the second most valuable baseball card in the world, and a Babe Ruth handprint taken by an Atlanta fortune teller in 1934. Now, however, he has added to his eclectic hobbies and pursuits a short stint with Israeli commandoes. Fogel was inspired to undertake this training by both the physical challenge it offered, and because of his connection to the State of Israel; a branch of his family was involved in the founding of the State in 1948. The IDF accepts 20 people each year from all over the world to experience commando training. 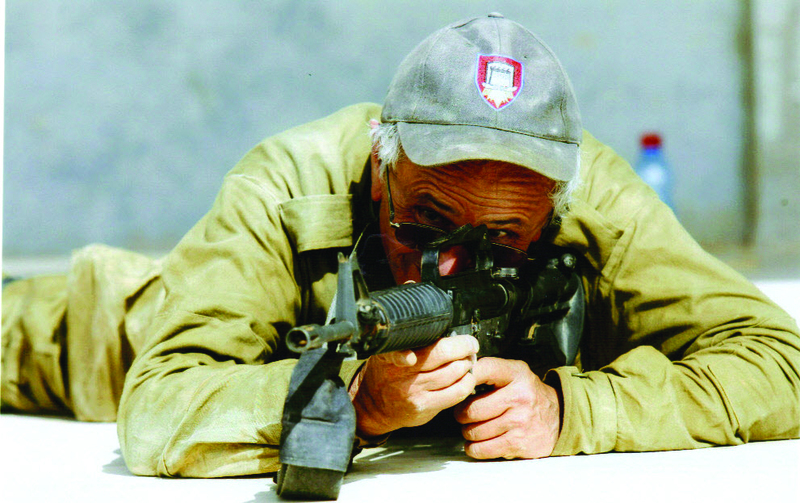 Fogel’s comrades were all in the 30 to 40 year-old range, so Fogel was the senior citizen of the group at 68—he was the 40-year-old soldier in a World War II movie that everyone called “Pops.” Nevertheless, he passed the required physical and was permitted to experience IDF training. Fogel’s group was taken to an undisclosed location near the Gaza Strip where they lived in tents, were issued M-16 rifles and trained every day in 114 degree heat, carrying full combat gear and wearing flak jackets. Perhaps out of a perverse sense of humor his lieutenant decided that Fogel should be the radio operator of the outfit, which allowed him to carry an additional 15 pounds of equipment. Three of the members of Fogel’s unit dropped out before the end of the two week exercise. For the first couple of days Fogel’s group engaged in weapons training. They got to run, crawl and shoot in the desert heat, with sand blowing in their faces. Who wouldn’t want a vacation like that? Fogel also received explosives training (he managed not to blow himself up) and drove a 19-gear armor-plated combat vehicle. The last day of their experience the unit was allowed to sleep until 3 a.m., when they were roused for their graduation ceremony, to which they marched in the dark, climbing a last hill at sunrise. The graduates received IDF berets as the Israeli national anthem, Hatikva, was played—a very moving experience for Fogel. Just to show his younger comrades what he could do, he sprinted up the last hill to the graduation spot; they hoisted him on their shoulders in appreciation of the effort. In addition to an unforgettable adventure, Fogel left this program with an understanding of how universal military service in Israel creates patriotism and brings the population together in a spirit of nationalism and equality. The IDF offers a number of other programs, in addition to this boot camp. Volunteers can engage in non-combat civilian support duties, such as packing medical supplies, repairing machinery and equipment and maintaining military base facilities. More information on Volunteers for Israel, the IDF volunteer program, can be found here. By Marshall Snider, a former Colorado administrative law judge who works as an arbitrator and mediator. He may be reached at msniderarb@comcast.net.